When a family goes through a divorce or legal separation, the needs of the children are the most important consideration. To ensure the best emotional and financial outcome possible, children have the right to financial support from both parents. By helping obtain an appropriate support agreement that is child-focused and equitable, our skilled Michigan child support lawyers support your family during this time. If you find yourself going through a divorce or separation and have children, it is your top priority to make sure they are financially taken care of. Call to speak to our family law attorneys at (517) 394-7500. Child support is a court-ordered payment to help cover the costs of raising a child in Michigan. The total monthly child support calculation usually includes 1). base support and 2). healthcare and 3). childcare costs. Child support can be ordered during your divorce case, paternity/custody case (for non-married parents), or support case. Child support is intended to help pay for the expenses of raising a child, including food, shelter, clothing, school supplies, childcare, and personal care items. 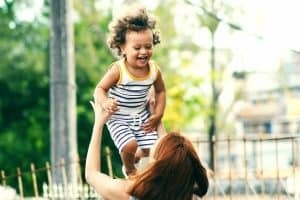 Child support can also go toward helping offset other costs to the custodial parent, such as additional living space needed to house a child and utility usage. No two child support cases are the same. With so many variables, such as incomes, overnight percentages, and other factors, determining appropriate support can be confusing. Divorce and custody can be major hurdles to overcome financially. And while it’s not “just about money,” the fact of the matter is raising children isn’t cheap. We focus on the kids, making sure whatever resolution is reached best serves their interests. The divorce and child custody lawyers at Sinas Dramis Law Firm understand the specifics of Michigan family law. We strive for transparency with our clients. We discuss every detail so you can make the best long-term decision for your family. Our goal is for you to leave our office with every question answered, understanding all your family’s options. 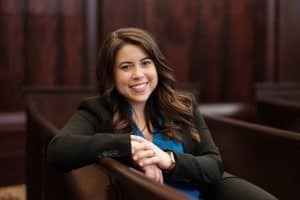 After graduating from Michigan State University College of Law, Jackie joined Sinas Dramis Law Firm and immediately excelled at family law. With a passion for helping families through the challenges of domestic relations matters, Jackie’s confidence, skills, and calm demeanor make her the perfect partner for courtroom representation as well as out-of-court negotiations. As a child-focused divorce and custody attorney, she skillfully helps parents navigate child support to reach agreements that are fair to both parties while best serving the children involved. In 2017, the Ingham County Bar Association recognized Jackie as a “Top 5 Under 35”. Furthermore, she is a board member of the Young Lawyers Section of the Ingham County Bar Association and is involved with the Women Lawyers Association of Michigan. Outside of work, she is a fitness instructor, enjoys training for and running half-marathons, and avidly cheers on her Spartans. Having a hard time coming to a child support agreement? Call to speak with one of our child support attorneys at (517) 394-7500 or fill out a free online form.